Root canal treatment is performed to save damaged teeth when their pulp (the living tissue within the tooth) becomes infected. This pulp contains delicate blood vessels and nerves and once the pulp becomes infected the tooth starts to die, and the infection can spread causing severe pain and abscesses. Pulp can become infected through decay, trauma, a crack in the tooth, or a large filling. Interestingly, while the infected area may be painful, once a tooth has died and the infection has been treated the pain will subside and the dead tooth doesn’t necessarily need to be extracted. This is because, although the infection may be felt by other nerves, the nerves inside the teeth are there only to detect differences in hot and cold, and do not themselves sense pain. 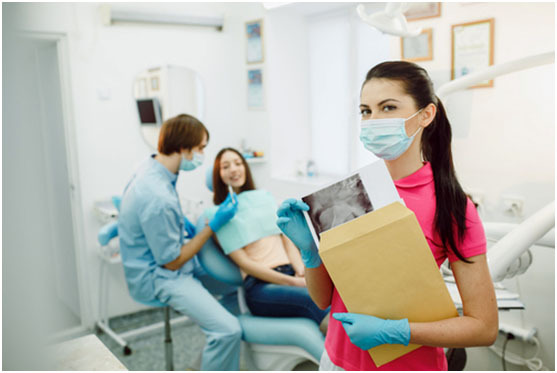 So while a root canal can’t bring your tooth back to life, it can treat the decay, help ease the pain, and avoid the need for a dental extraction. The treatment involves removing any decayed tissue before cleaning and then sealing the roots of your tooth, which will prevent any further infection. We will make you comfortable throughout your treatment. A local anaesthetic will be used to ensure you don’t feel any pain or discomfort around the affected area during the procedure.